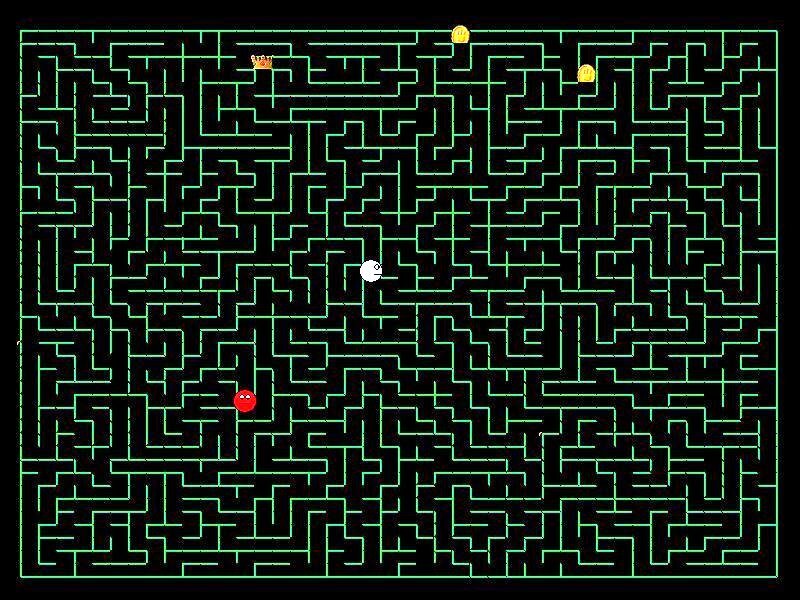 Trapped in a maze you battle the computer to gain all the prizes. Can you collect them all? 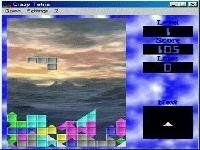 Quest For Glory is a small game, made by a student for his homework assignment. And its actually really quite good. 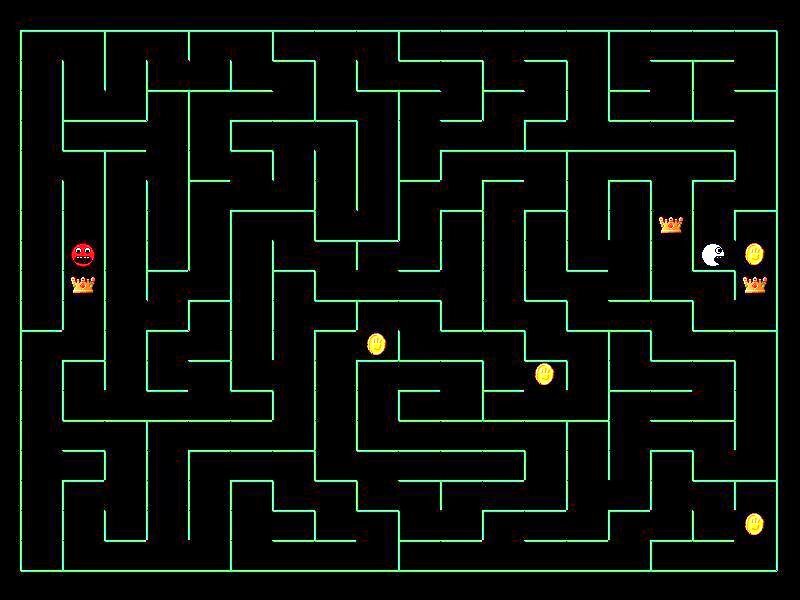 You play as a face and you have to hunt around a randomly designed maze to collect treasure, this may be coins or crowns and if, at the end of the level you've collected the treasure which gives you the most money then you win the level! What is really nice about this game is its simplicity. Its easy to know what to do and its very quick to figure out where you have to go. The menus are fantastic in this game and simply get to the point to let you control what you want to get out of the game. The stand out feature of this game is the level of customization you can bring to this game. First off you can set the computers difficulty, with 11 different options for its speed. And you can set the maze size from very small to very large (though it seemed kinda blocky when on the smallest setting). You can also set the amount of collectables to collect. 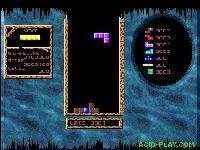 Setting number of things to collect to zero will let you into the "maze" section of the game where its like an ordinary maze and you have to beat the computer to the exit. 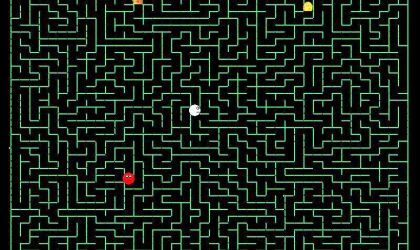 In this version of the game you draw a line where you have been and back-tracking makes the line red so you can see where not to go. There is also an option to turn on a line from the beginning to end and you can just follow it but... really... thats cheating, isn't it? Another cool thing is the "readme" document that comes with the game. Its quite funny and very entertaining, I havent been this humoured from a readme file since Weird Al Yankovic's "Running With Scissors" album had a bonus for the computer. 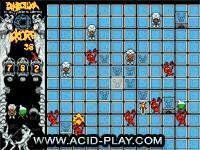 All in all, this is a very fun game and will surely keep you entertained for a while. And for such a small download, how could you go wrong?